The RAV-4 started the UK Sports Utility Vehicle thing back in June 1994. Then sprouted an extra pair of doors making it even more practical in June 1995. 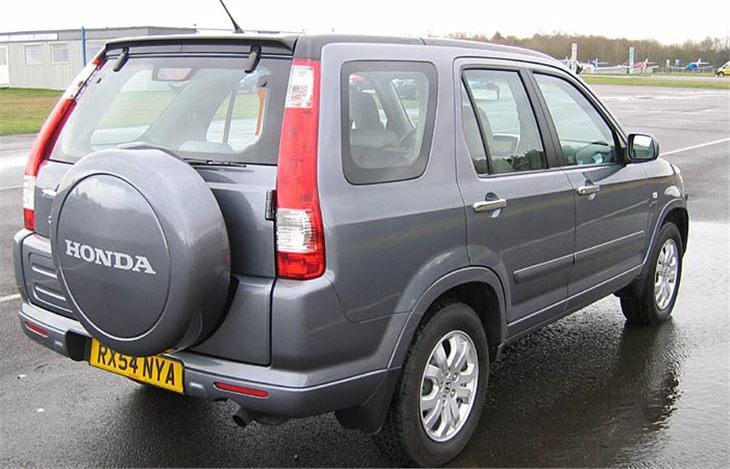 But the Honda CRV was an honourable second onto the scene, beating the LandRover Freelander to the market by 6 months in June 1997, and coming in at £2,000 cheaper. It caught the public imagination of what a family car should really be, was an instant hit, and has remained so ever since. 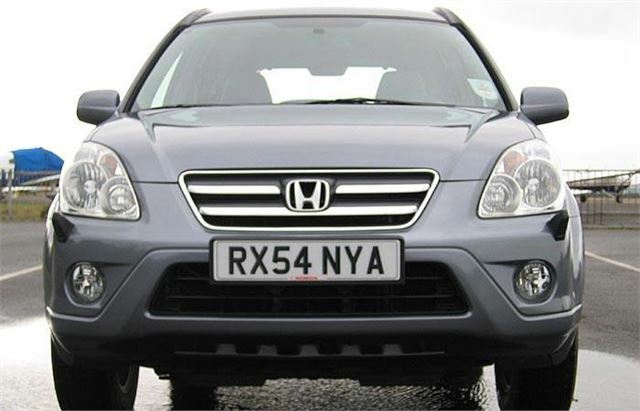 Honda went back to the drawing board and launched the current shape CRV in early 2002. And now, using the opportunity of its new 2.2 litre diesel engine, has refreshed that design for 2005. Both petrol and diesel engines are reliable chain-cam. The 2.0 petrol, as also used in the Accord and FR-V, remains superbly sweet. But the big news is the 2.2iCTDI for which we have been waiting more than a year. It’s a little bit noisier in the CRV than in the Accord. And, just as it does in the Accord, it whistles. But it gives a very pleasant, smooth drive with no sudden turbo catapult effect and relaxed cruising at 30mph per 1,000 rpm in 6th. That’s reasonable gearing for towing a caravan up to 1,386kg, which is 85% of the car’s kerb weight. Honda sets the limit slightly higher at 1,500kg. Handling is definitely better than it was with far less roll understeer. It’s about equal to an X-Trail now, though still not as good overall as a RAV-4, nor as grippy at the front as the Hyundai Tucson and KIA Sportage. But I’m talking here of extreme handling. It’s very pleasant to drive, and that’s the criterion by which most people will rate it. 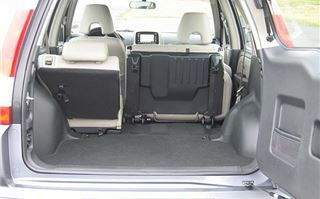 The rear seats still get up to all sorts of tricks, reclining or sliding backwards and forwards to give 527–628 litres of loadspace behind them, or folding up, headrests still in place, to free up 952 litres. Safety hasn't taken a back seat either because all three rear seats have proper three-point safety belts. And, with its new ultra-stiff body shell, Honda got a four-star result in the NCAP crash tests, together with the three stars for pedestrian safety which isn’t only the best for any CRV, it isn’t beaten by any saloon cars. This is the exception that makes nonsense of the case against 4x4 SUVs in towns. 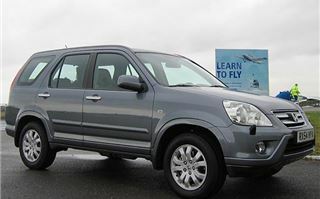 With its low CO2 output of 177g/km, its decent economy of 42.2mpg and its reasonably low weight of 1,631kg it is actually far more city and pedestrian friendly than most ordinary cars. 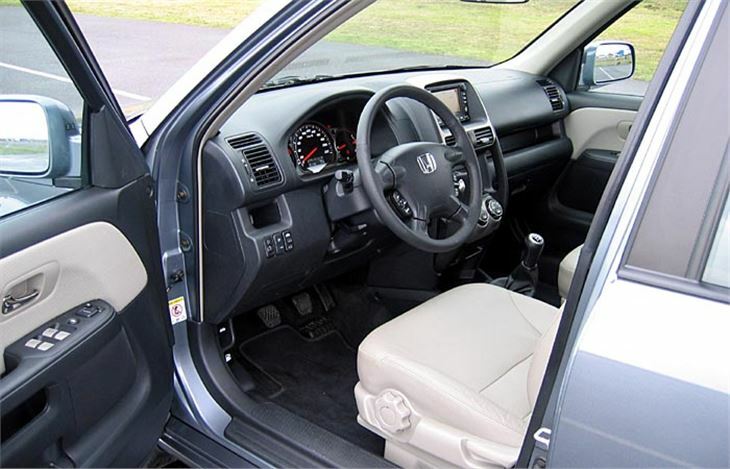 As you'd expect in a vehicle of this type, there are cupholders and cubby holes all over the place. 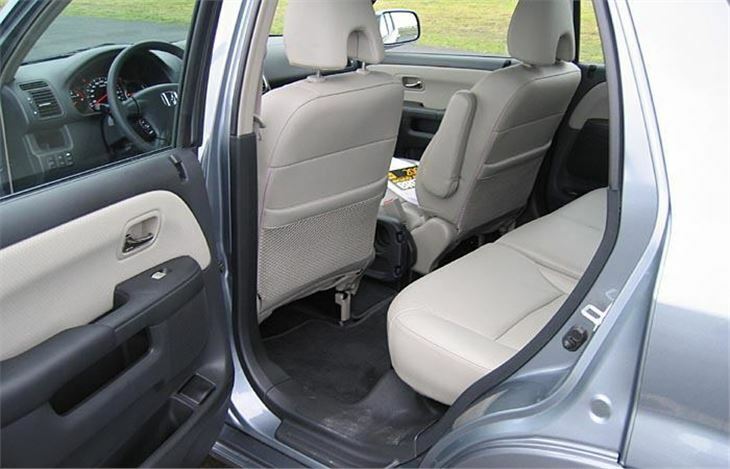 Between the front seats is a folding table with indentations for everything from a Biro to a Burger King. They haven't forgotten the boot floor that turns into a picnic table either, and that's bigger now at 861mm x 760mm. Under the flat floor, Honda's hydraulic Dual Pump four-wheel-drive system has been improved with an additional one-way ball cam and pilot clutch system that detects slippage and responds by transmitting drive to the rear wheels instantly. This works very well in wet grass, mud and snow, and also in the wet on mountain hairpins where the rear wheels clutch in and counteract understeer by pushing the car around the corner without it scrabbling for grip. 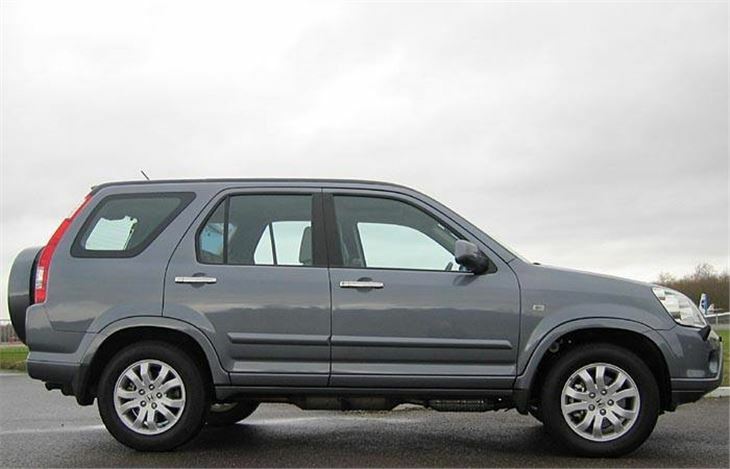 Compared to the X-Trail 2.2DI. the RAV-4 D-4D and the Freelander TD4, the CRV 2.2i CTDI is more powerful, accelerates slightly better, is slightly faster, is more economical and emits less CO2, so it makes a very good case for itself. 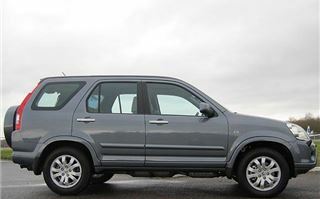 The CRV is also a British success story with 105,000 built at Swindon last year, 80,000 of which were exported. So it’s a car to genuinely feel good about. And because of that the placard-waving, ignorant anti-4x4 brigade will inevitably hate it all the more.